In the summer of 2011, the celebration of the 90th anniversary of China’s Communist Party is in full swing. People carrying Chinese flags wander around the huge party emblem at Tiananmen Square, where the dates ‘1921-2011’ are displayed in gold numbers. All over the nation festivals and concerts are organized to commemorate the Party’s founding. Joining the festivities, some kindergartens perform musicals about the Second Sino-Japanese War (1937-1945). One teacher, playing a Japanese soldier, violently ‘kills’ a Chinese farmer girl with his sword as the schoolchildren commence their singing (Wong, 2011). Presently, the past is actively commemorated in China. 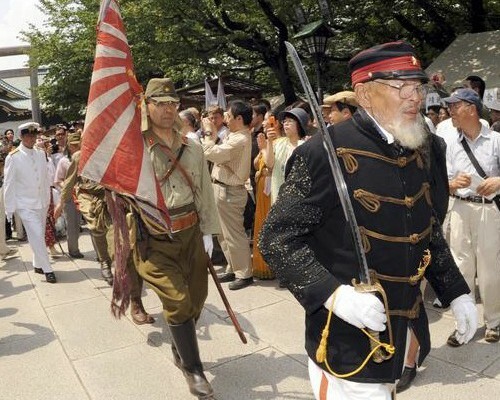 Within this commemoration, the Second Sino-Japanese War plays an important role. The war, which started on July 7th 1937, merged into World War II after Japan’s attack on Pearl Harbor in 1941 and ended on August 15th 1945 when the Japanese troops surrendered. Its history is very much alive, not only in China, but also in Japan and especially within Sino-Japanese relations. In the last ten to fifteen years there has been an overall surge of interest in this war. Countless new books have appeared about the subject and memorial sites in China and Japan keep its memory alive by organizing special exhibitions and frequent renovations. As historian Rana Mitter points out, a “new remembering of World War II” is currently taking place (2000, 279). Within this ‘re-remembrance’ of war the ‘Nanjing Atrocities’ of 1937 stand out. This violent episode has become the major theme dominating studies, novels and movies on the Second Sino-Japanese War. In the world of marketing, psychologists have since long discovered that consumer’s memory can be influenced through advertising exposure. Not only can old memories be revived, new ones can also be created (Braun et al 2002; Fennis&Stroebe 2010). If our memories can be affected by advertising, they must also, to some extent, be affected by the way in which histories of war are nationally remembered. In this thesis, I will explore how the collective memory of war is constructed in both China and Japan. 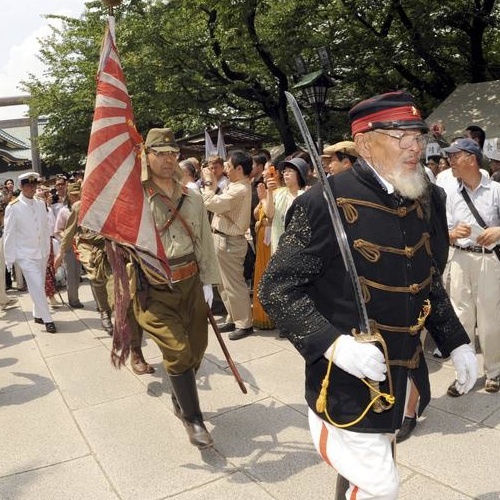 What message on the Sino-Japanese War, if any, are these nations ‘selling’ their citizens? What are the shared frameworks in which war is remembered? How, if at all, does the Chinese ‘new’ remembrance of war differ from that of Japan? If we would, hypothetically, take the governments of China and Japan as advertising agencies ‘selling’ or ‘advertising’ their history of the Second Sino-Japanese War to citizens, their means of promotion would consist of official textbooks, commemorative events, museums and memorial sites. This thesis explores the difference in the re-remembrance of war between China and Japan by specifically focusing on their main memorial sites since these are government’s signposts of how the people should nationally imagine their war. This thesis describes the journey of the memory of war from 1937 to present- a route where narratives of war are reformed, reconstructed, glorified, downplayed or restrained, both in China and in Japan. In order to take on the journey of the remembrance of war, I will set out the theoretical framework of memory in the first chapter. What is memory? What is collective memory? And if we take ‘nation’ as the ‘collective’, then what is it- and what are issues of ‘nationalism’? In the second and third chapter, I will focus on the Second Sino-Japanese War and how China and Japan commemorate it in their main war memorials. The last chapter will bring their memories together- how and why did their narratives on war change? How are they different and how, if at all, are they similar? Finally, the essence of this thesis is the exposure of the processes that underlie how memories are made and why they change through time.